Luo Yang XiaGuang Amusement Equipment Co., Ltd (former also called Luoyang Sunny Inflatable Toy Factoty ) founded in 1995, is one of the largest manufactures of inflatables in china. 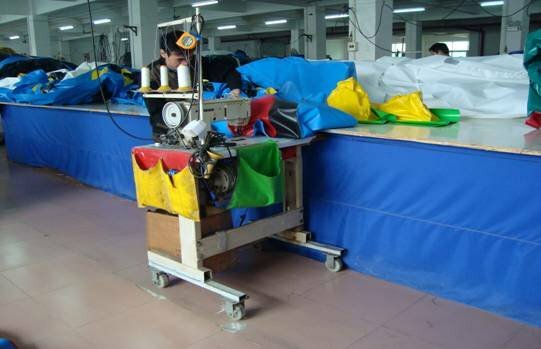 Luo Yang XiaGuang near the railway station covers 13560 square meters and 19860 structural square meters in total area, with more than 100 staffs.Over the years, LuoYang XiaGuang has become a leader in research and development of Inflatable products. we are able to supply inflatables, large inflatable toys, hydro sports & leisure products, and inflatable advertisement media. specialzes in manufacturing and development of amusement equipment, such as inflatable castle, inflatable slide, inflatable climbing, inflatable fun city, inflatable obstacles, inflatable tunnel, inflatable water toy. Over one decade of experience in this field, Lysunny now has high-tech devices and skilled workers. And our products have exported to countries all around the world including the USA, Canada, Australia, Spain, Portugal, the Middle East countries, African coutries,etc. We have special Quality Control department, they check the product exactly to the demand of our clients, they will not let any product through if any mini problem. We promise three years of Guarantee. You can send the product back to us if there product has not reach our normal standard. In theree years, we provide material, repair kit freely for in case damage. To maximize self-profit is not our supreme goal .We are aiming successful together with our customer. HAPPY SUNNY, only for happy life! We are a professional manufacturer of inflatable toys and advertising products, located in Xigong District, Luoyang, China. We have established long-term cooperation on inflatable toys with our clients for more than 10 years all over the world, such as the USA, Canada, Venezuela, Mexico, Brazil, Chile, Argentina, Russia, the United Kingdom, France, Germany, Greece, Czech Republic, Slovakia, Italy, Poland, Pakistan, the United Arab Emirates, Singapore, Malaysia and other countries and regions. We are specialized in high quality inflatables including inflatable bouncers, castles, slides, fun city inflatables, climbers, water games, water parks, inflatable tents, inflatable movie screens, air dancers and so on. We can supply these inflatables by client's design in any size and any shape. OEM or OEM orders are also welcome. 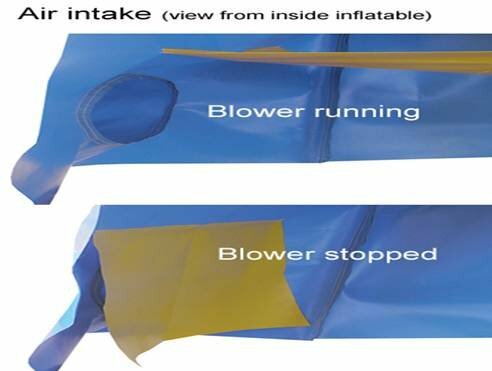 Our inflatables are made of 0.55-0.9mm high quality PVC tarpaulin, which is water proof and fire retardant with ASTM, BS7837 (British standard), EN71 and SGS certificates. Our blowers meet CE and UL standards and can be used in different markets. Welcome you visit our company to chat face to face when you come to Luoyang. If you need the invitation, please feel free to contact us. And we will send it to you as soon as possible. We will deliver the goods on time and offer the best after-sales service. We are willing to do business with you based on equality, honesty, truth and high efficiency. Finally, you will find cooperating with us is the best choice. Please remember inflatable factory is Lysunny. Luoyang XiaGuang Amusement Euipment Co., Ltdis one of the most professional manufacturers for inflatable products in China. Over one decade of experience in this field, we are offering a wide range of inflatable products, from hand held inflatable products carrying your logo, to giant castles, arches and bolloons for large venues. Any inflatables shaped by your imagination we have covered. Also we can customize any inflatables ( small to giant ) to your spec, with high quality and competitive price. Clients for years have been exceedingly satisfied by our level of performance and continue to come back to Lysunny to give them that competitive edge. From retail stores to sports venues to trade shows, we have you covered. So far we have exported our products to Hong Kong, Singapore, Japan, USA, Canada, South America, Western Europe and the Middle East, etc. Among a crowd of businesses, all vying for a piece of the pie, it pays to have an ace in your pocket to stand out from the crowd. Check out our great selection of inflatable collectibles, and get yours today. Luoyang XiaGuang Amusement Euipment Co., Ltd is one of the most professional manufacturers for inflatable products in China. Over one decade of experience in this field, we are offering a wide range of inflatable products, from hand held inflatable products carrying your logo, to giant castles, arches and bolloons for large venues. Any inflatables shaped by your imagination we have covered. Also we can customize any inflatables ( small to giant ) to your spec, with high quality and competitive price.